We are back today with the best Town Hall 9 base design for November 2016 in Clash of Clans! These TH9 bases will be either war bases or farming bases for Dark Elixir. Enjoy these bases for November and if you aren’t TH9, check out the other bases below! 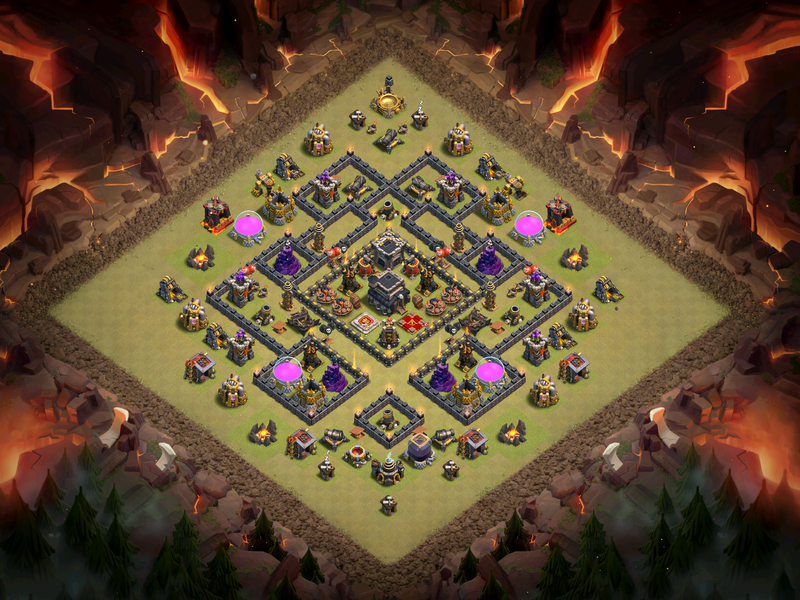 Without further ado, here are the best TH9 base layouts for November! 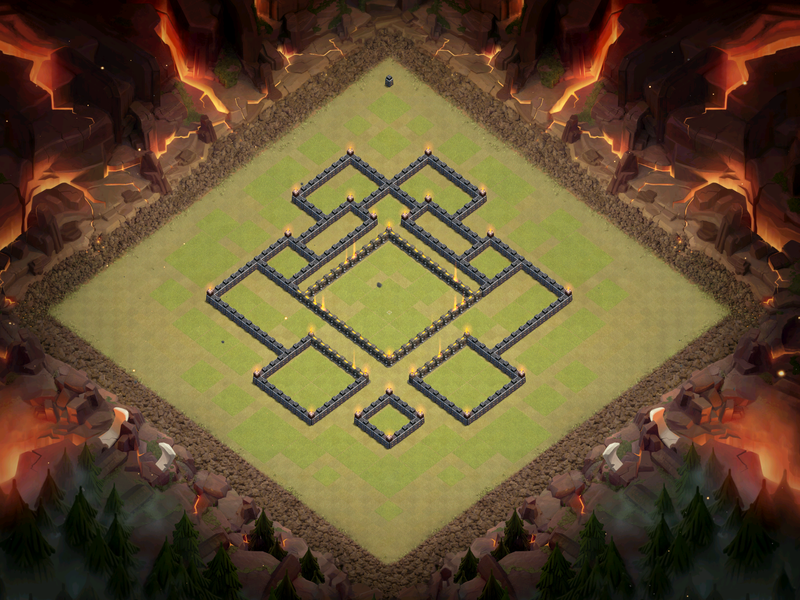 This Clash of Clans war base design is perfect for defending against hog riders. Since there are so many gaps in this base, it is almost impossible to tell where the double giant bombs are, the nemesis to mass hog riders.Of course, double giant bombs are key to this base, with them being located for when hogs jump between the X-Bow and the air defense! It will be tough to even get to that spot in the base however. Another popular strategy at Town Hall 9 is mass valkyries. Although not as popular as GoHo or mass hogs, valks can still destroy your tower if you don’t have a good base design to stop valkyries. A good anti-valk layout has a spread out layout, making it tough for valks to get double damage from extra buildings they can swirl on. Double giant bombs, just like for hogs, are extremely important to stop mass valkyries, which are located near the Town Hall. For November in Clash of Clans, DE is super important for Town Hall 9s. Having to get level 30 heroes means that you are going to have to save up dark elixir and having a base layout to protect it is very important. 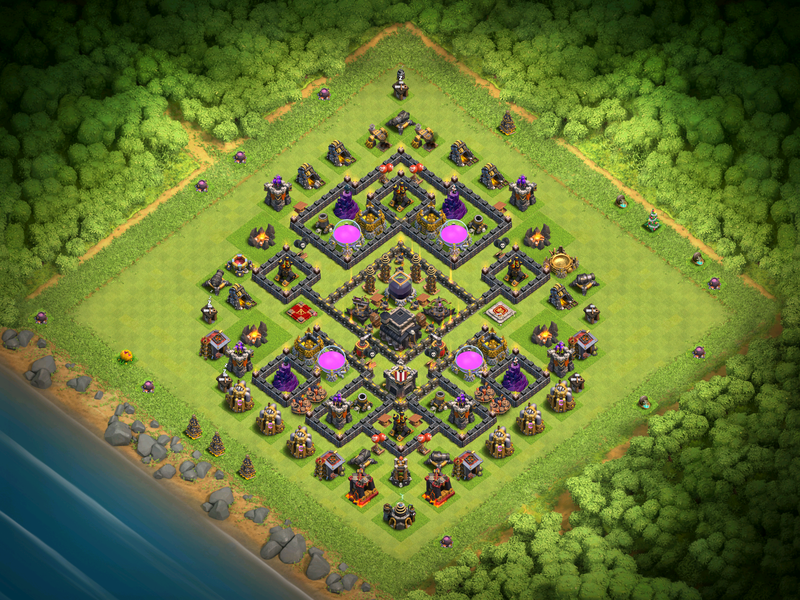 In this TH9 base design, the dark elixir storage is centralized, with teslas and X-Bows protecting it. 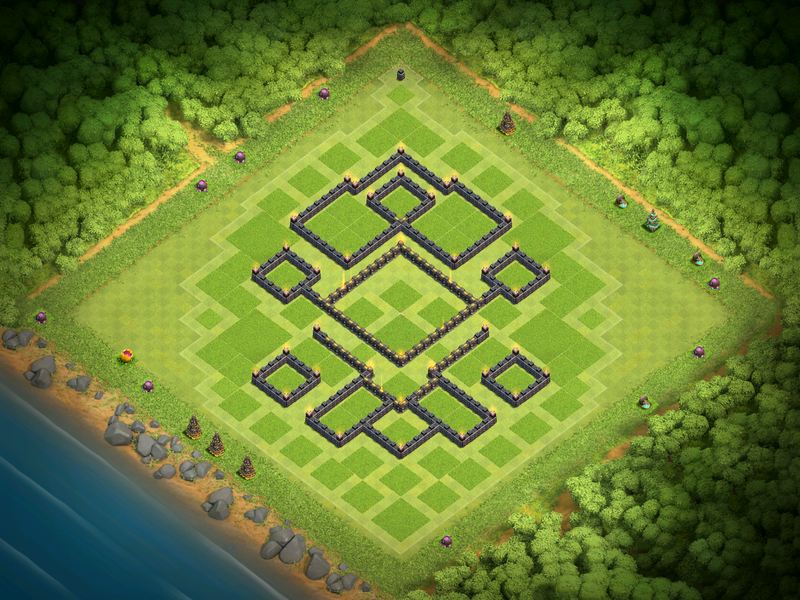 Also the Town Hall is in the center so that you don’t constantly lose trophies and can get a shield from the 30%. That’s all for November 2016 base design for Town Hall 9! 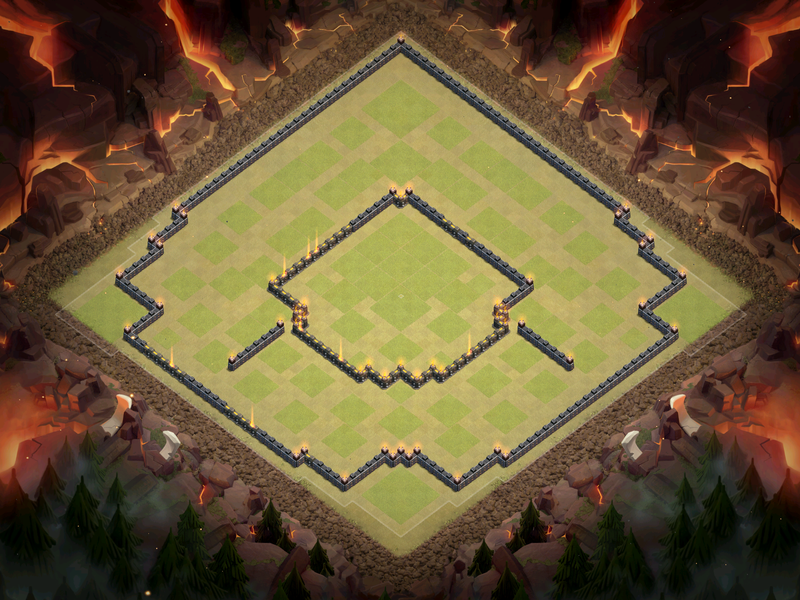 Make sure to come back tomorrow for some TH10 base design in Clash of Clans for November. Thanks for reading and I will see you guys soon. ← Clash Royale Kings Cup Decks: How to Win! 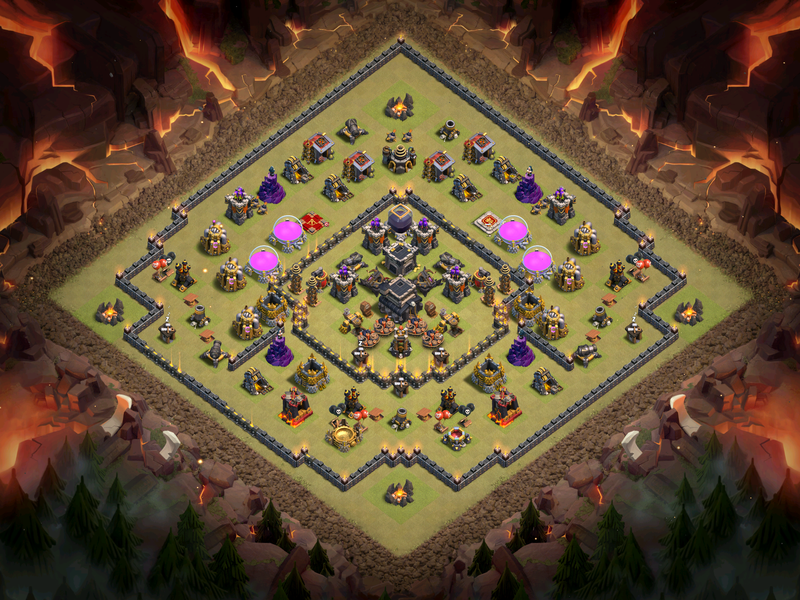 Pingback: Best Town Hall 9 Base Design for November 2016 | Clash of Clans Guide, Strategies, Tricks and More!